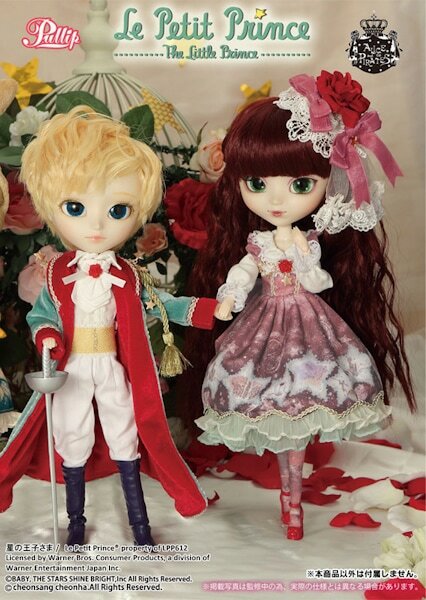 Groove Inc continues with the classic Little Prince story with the announcement of Pullip The Rose. In the story, The Little Prince came across a beautiful rose growing on the surface of an asteroid and fell in love with it. The Rose asked the Little Prince to build her a wind screen and glass globe to protect her from the cold wind. The Rose is characterized as being vain since at times it appears that she is taking advantage of the Little Prince, but the Prince loved her anyway. Some suspect that the Rose in the story represents the authors, wife Consuelo. 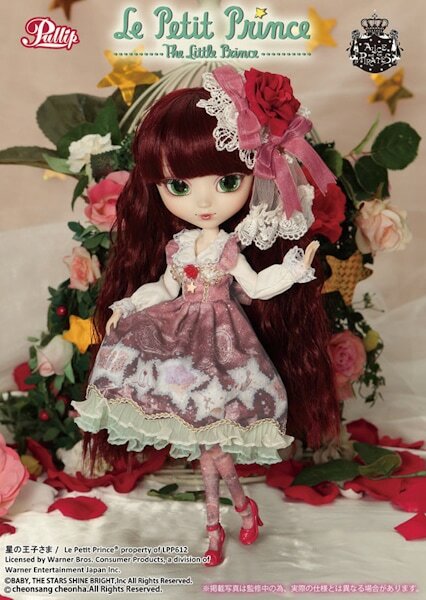 Pullip The Rose is scheduled to come out February 2016. 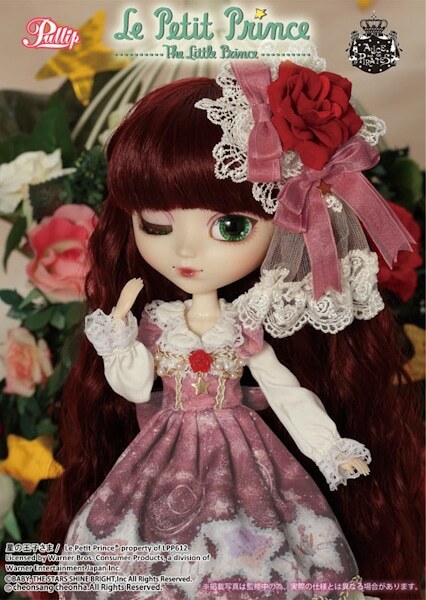 ALICE and the PIRATES designed a life sized version of the dress worn by Pullip The Rose. You can view the dress here. 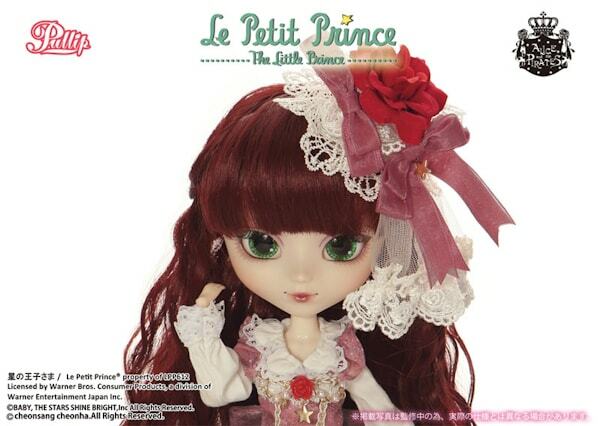 Pullip The Rose has a hefty price tag of ¥22,000 which is about $181. 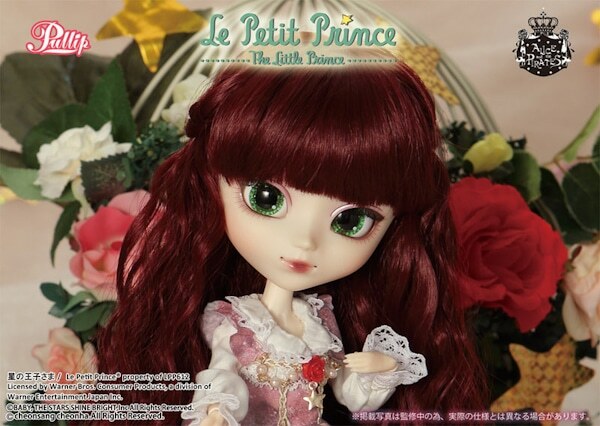 However, as of this writing, neither Isul Little Prince, Pullip The Fox, or Pullip The Rose are being offered in shops outside of Japan. This may change at a later date, lets keep our fingers crossed. 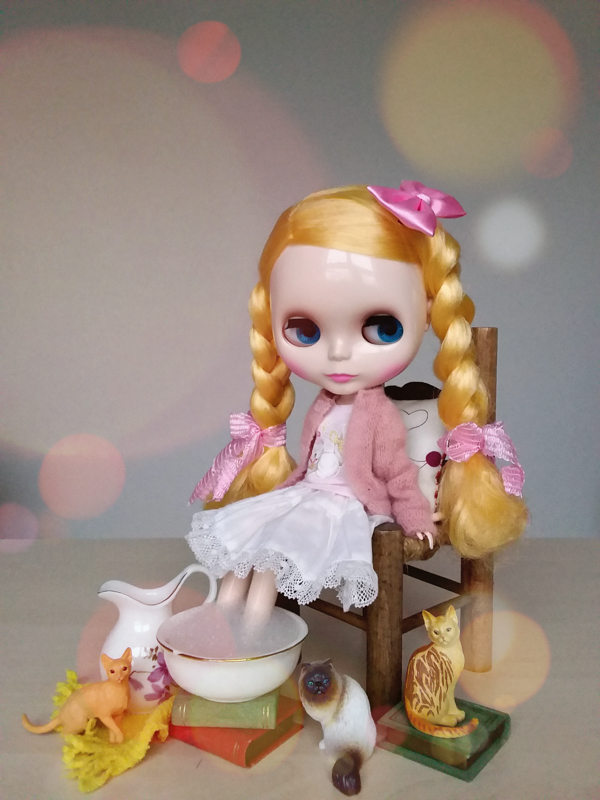 What do you think about the February 2016 Pullip The Rose? 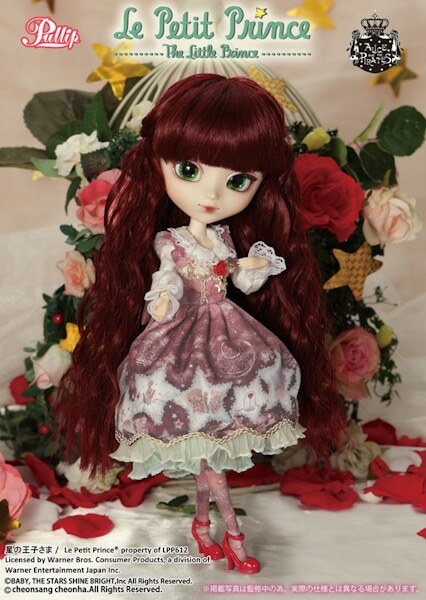 Does Pullip symbolize the Rose from the story well or do you think Groove could've done a better job? What are your thoughts about the wig, do you like the color or do you want a true red color? Post those opinions below in the comment section, we can’t wait to hear from you! I was a little disappointed to learn this will be a Japan exclusive release. I was hoping to hold out buying her until later this year. 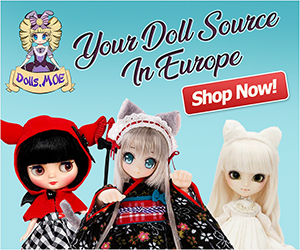 I checked the main Pullip webpage in Japan and already all 3 of them are sold out. I guess this explains why I have been seeing them pop up on E-bay for a hefty price tag! 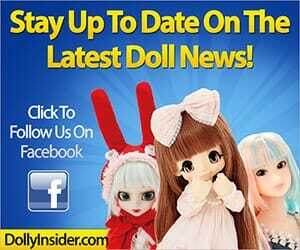 I hope they are able to bring these dolls to the U.S. shops. Someone mentioned that this is a strategy from Groove, to have a reason to raise the prices. 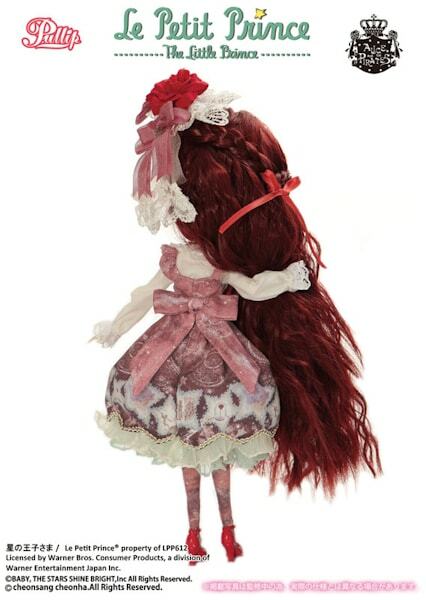 I love almost everything about this doll, but I wish the hair was a brighter red, although this tone matches well with her dress. The bright green of the eyes is distracting to me. Maybe they could’ve gone with a darker tone of green? Thanks for posting this! I know, it’s really horrible that Groove didn’t provide their international fans with a heads up. This would’ve allowed collectors the ability to make a decision on whether to buy the doll from a Japanese hobby shop vs. waiting for their usual Pullip retailer. The theory behind the hefty price tag strategy sounds reasonable. I hope Groove doesn’t keep applying this strategy with future doll announcements because in the long run it’s a unfair to their international collectors. 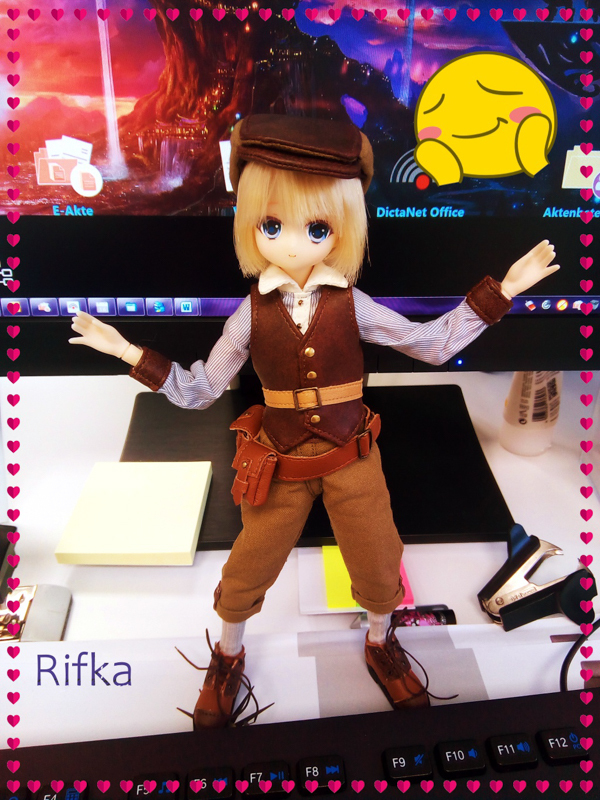 Thanks for chatting with us about Pullip The Rose and Groove. But there are a few things that are bugging me. First of all, the eyes. They look really… cheap. 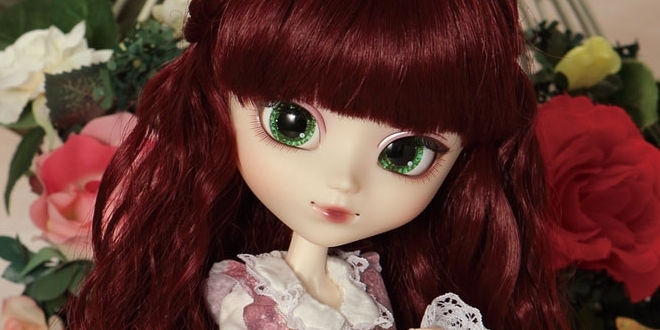 The colour is beautiful, but the eyechips look terrible in my opinion (same with Renard’s eyes). 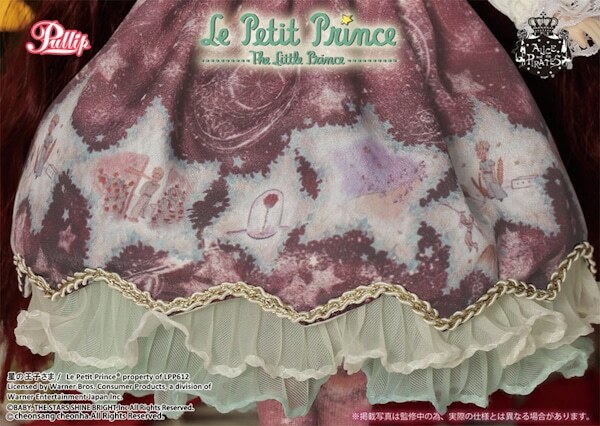 For a doll with this price, I honestly expect something better >_<. But she's beautiful nonetheless. A vain rose in all her glory. I think this release inspired a lot of people to read the story! (me included) >. That’s a pity that this collection is a Japan exclusive! 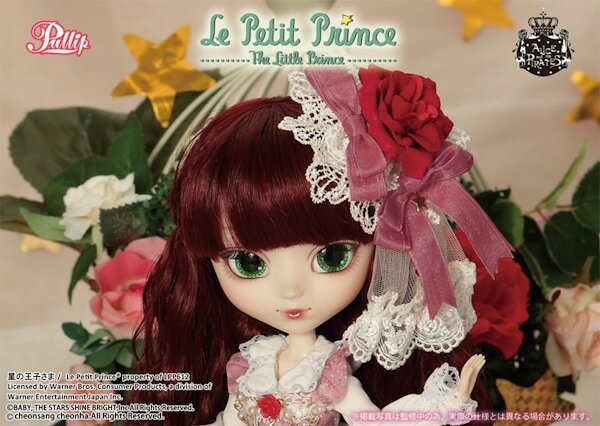 But I asked my favorite pullip seller about it and he told me that he had to negociate with Groove Japan but he has obtain the right to sell several cartons of the Isul Le Petit Prince after his released in Japan at the end of December. So… I hope he will do the same for those two cute girls! Well that’s great news to hear! 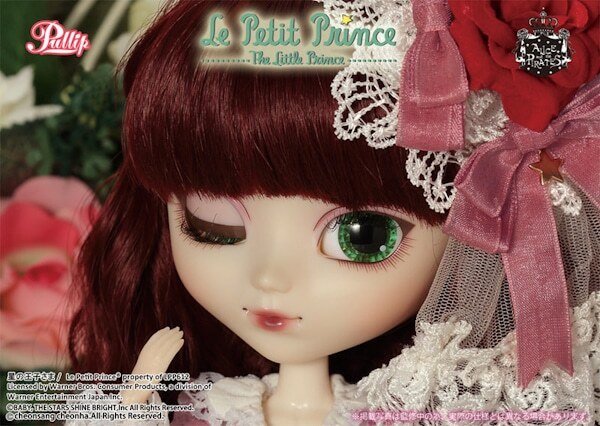 and it’s also good to hear that the Pullip seller and Groove Japan are working together to bring Le Petit Prince to fans outside of Japan. I wish that Groove had stated they would be Limited to Japan when they made the announcement for the dolls. 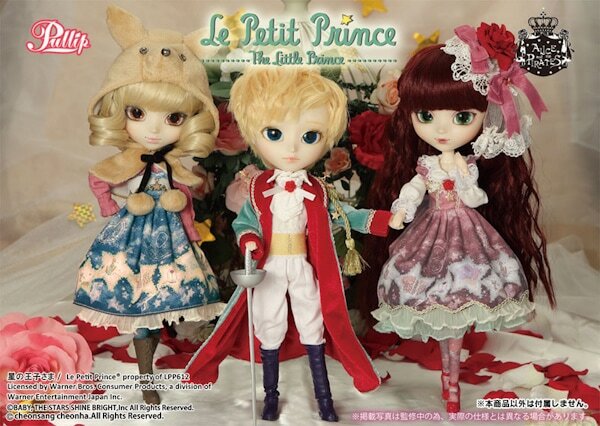 That way collectors could pre-order them at online Japaneses hobby shops just in case shops outside of Japan were unable to sale the Le Petit Prince dolls. Her stock is gorgeous but otherwise she reminds me of Eve Sweet. 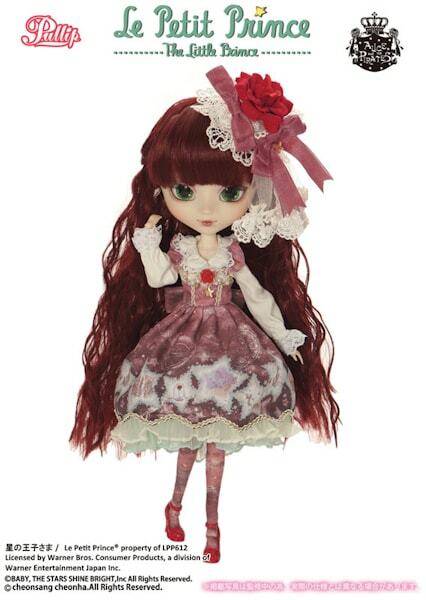 I can totally feel the essences of Sweet Eve when looking at Pullip The Rose. ALICE and the PIRATES did a really nice job on creating the dress.